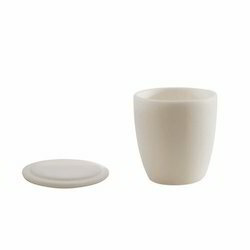 Offering you a complete choice of products which include alumina ware crucible. We offer a superior quality range of Crucible - Lids - Basins - Alumina Ware, manufactured by reliable vendors of the market. Available at market leading prices, these are also offered in varied specifications as per clients' variegated requirements. Moreover, we are also capable of offering alumina tubes if required by clients. These, alumina Crucibles, Al 203, can be found with 99% purity at temperature upto 1800ºC. Looking for Crucible - Lids - Basins - Alumina Ware ?